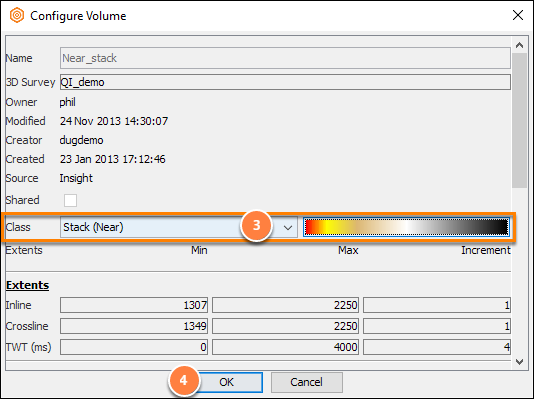 After selecting a volume in the control panel, change the class of a volume in the details panel. Select a volume to open the Details Panel. The class assigned to the volume is shown at Class. Select a class in the drop-down search box. Tip: To quickly open the class settings, click the small colourbar icon. 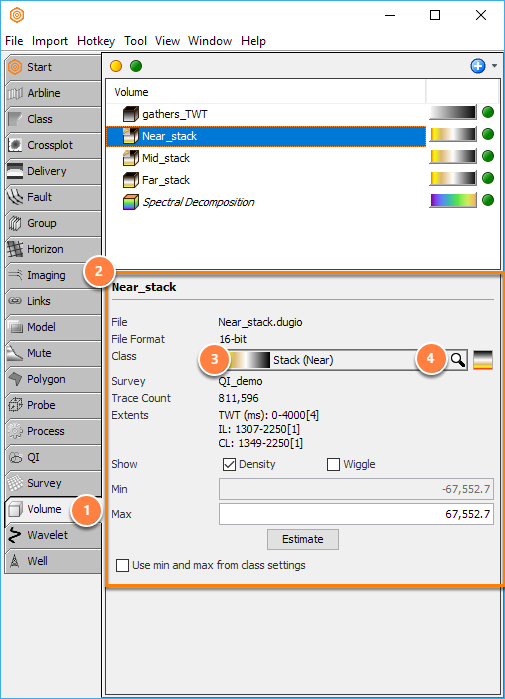 One is located in the tree beside the volume name, and one is in the details panel after the class selector. For more details, see Classes and Colourbars. The class can also be updated in the Volume Configuration panel. Use this method on older versions of Insight. Open the Control Panel / Volumes tab. Open the Configure Volume window by double-clicking a volume, or right-clicking then choosing Configure Volume. At Class, choose the class in the drop-down search box.